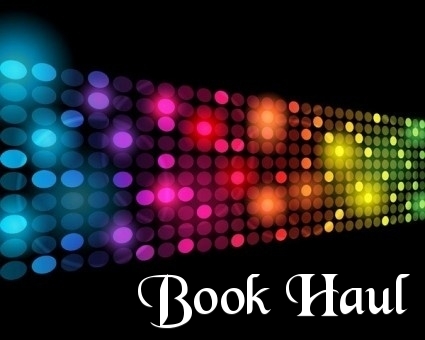 I’ve got the mother of all book hauls for you this week. Last week I did a digital only book haul and then a little bonus one after I picked up some sweet deals in the kindle summer sale; this book haul is the biggest physical book haul I have ever had and the most amount of physical books that I have ever purchased at one time and the most in the past 6 years (I’ve been buying one or two a year at most). I was so excited when they kept arriving as they arrived in dribs and drabs from various different sellers and then yesterday I got home to a box – a box – of books. ← I stumbled across this book a long time ago and it’s been sitting in my wishlist for months just waiting for me to purchase it and I thought I’d never find a copy of it for a decent price. Well I found it. For 99p in a “very good” condition – this book is practically new I can see very minimal damage to it AT all and it’s only one of many that I bought used that are in such good condition. → Adam over there is another that’s been on the list for months – I have the first five of the series and Adam completes it, again it’s a “very good” condition book that is almost new for 99p and completes the Nightwalkers series at last! 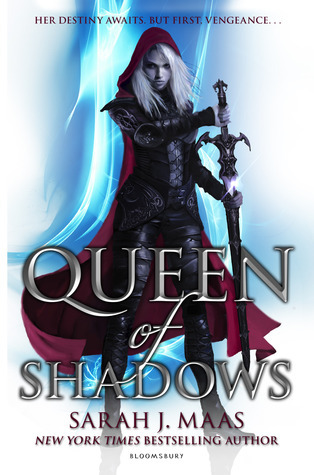 ← A Daughter of Smoke and Bone is one of those “oh I fancy that” books, I’d read such good reviews about it and I managed to find this one for 99p too. 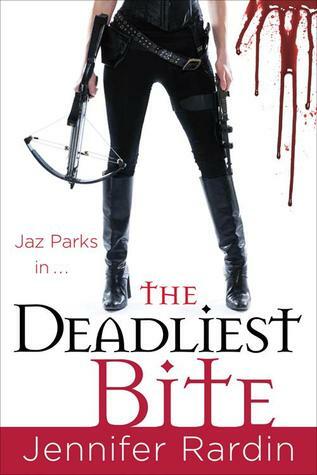 → The Sweet Scent of Blood was a spur of the moment books, I’d seen it around for a long time and it was staring at me when I went to Forbidden Planet last – again a bargain at 99p. Working Stiff by Rachel Caine was again 99p and it was one of those “I have every other book by this author, why don’t I have this one?” books so I bought it and it’s in pretty good condition considering. Unholy Ghosts was another spur of the moment book though to be fair it sounded amazing when I read the blurb and at 99p it was a bargain. The Iron Wyrm Affair has been on my wishlist since well before christmas. I got this near mint condition book for 99p too! 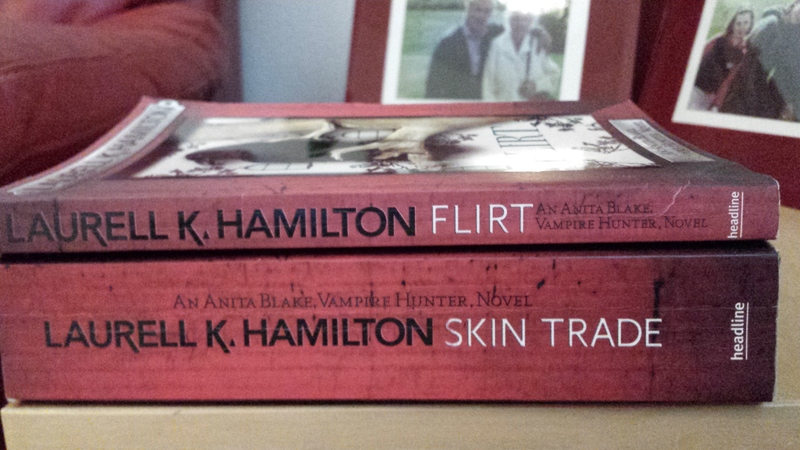 It’s been a LONG time since I caught up with my book series and I kicked it off with adding Flirt and Skin Trade by Laurell K. Hamilton to the list at 99p each. The only thing that irritates me the most about these is that they’re a different cover to the first 15 of the series that I own. I’ve got an additional five to buy when I can find them in good enough condition. Another Laurell K. Hamilton series I brought up to speed and completed was the Meredith Gentry series, I had the first six books, got my first one signed a few weeks back and decided that I needed to know what happens. I picked up A Shiver of Light from Waterstones and Swallowing Darkness and Divine Misdemeanors for 99p each. 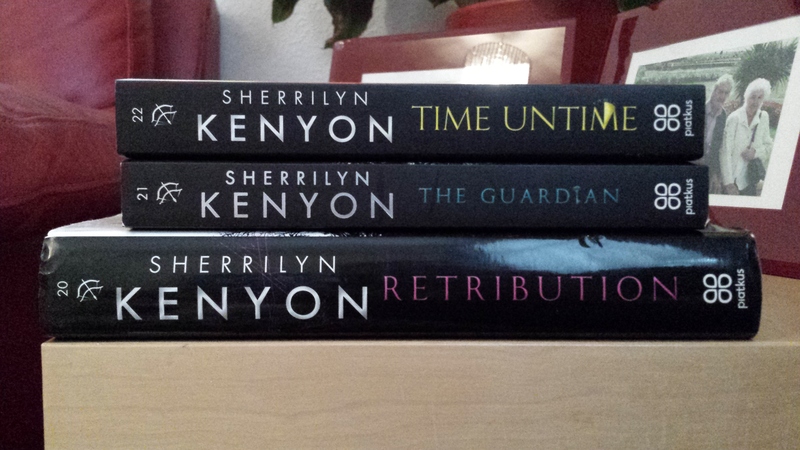 I also haven’t bought any Sherrilyn Kenyon in a LONG time so I picked up a sweet condition, used hardback copy of Retribution for 99p, The Guardian was brand new at 54p + P&P and I picked up Time Untime from Waterstones. That leaves me with 3 or 4 books left to get to bring this series completely up to speed. So I’ve had Dhampir by Barb & J.C. Hendee for 12 years, absolutely loved it, the copy is pretty much destroyed on the spine because of the amount of times I’ve read it but then I never got the rest of the series. Until last week! 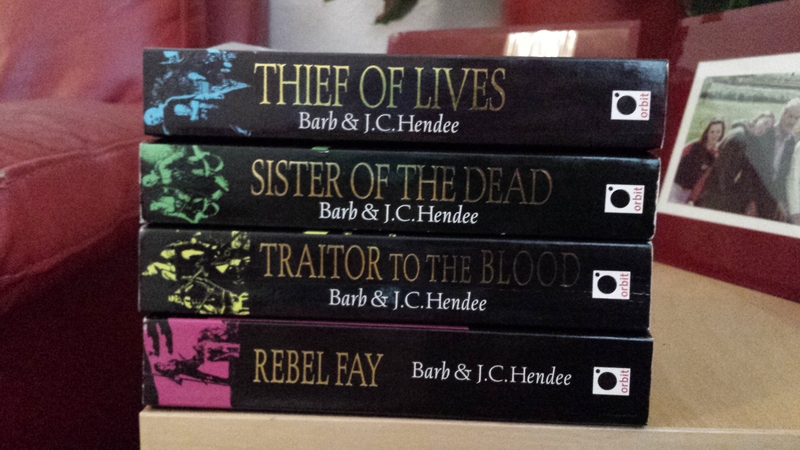 I picked up Thief of Lives, Sister of the Dead, Traitor to the Blood and Rebel Fay to complete the series (almost) for a whopping 99p each. And just look at the spines on these babies – they’re all second hand used copies but the spines are near perfect on every book. Traitor to the Blood has the most damage out of the four and I’m so chuffed to have finally got the series finished. Another series that I’ve finished off is The Lords of the Satyr by Elizabeth Amber. I had Nicholas for a long time but never found the oomph it would have taken to complete the series until now. I picked up Raine for 2p, Lyon for 1p, Dominic I was given by my friend as she was given two copies; I picked up Dane for £3.75, Bastian for 60p and it hasn’t arrived yet but I also got Sevin which is number 7 in the series and completes it for £1.28. A good few years ago I picked up the first book in a new series that would inevitably change the way I look at vampires for a long time. 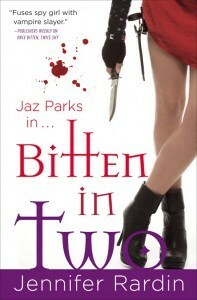 I only had the first five in the series and sadly, the author passed away in 2010 and I thought that was it – I’d never get to hear the rest of Jaz Parks and Vayl’s story. Fortunately, Jennifer Rardin’s family agreed to publish the final three books in the series and I’ve had them in my wishlist and my amazon basket for 5 years. I finally picked them up last week although they haven’t arrived yet – for a grand total of £2.80 each. I also picked up my own copy of Alterant by Sherrilyn Kenyon and Dianna Love so I can return the library copy I have. My greatest haul from all of this was 16 books in near mint condition for £15.84. It was the biggest and greatest bargain I’ve ever had and I’ll certainly be buying more if I can get round to it.